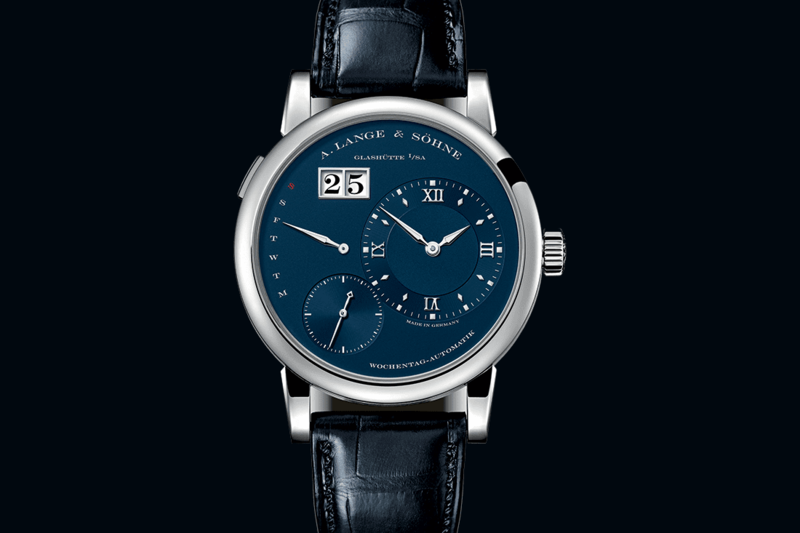 German watchmaker A. Lange & Söhne has unveiled four new watch models with a combination of deep-blue solid silver dials and white-gold cases. 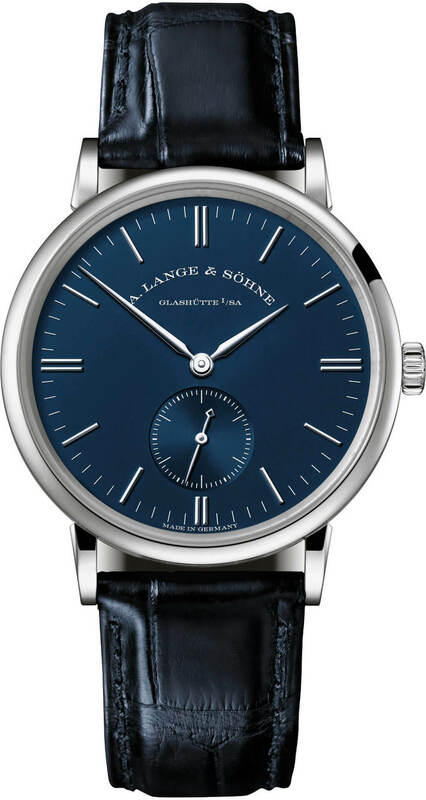 The timeless inherent fascination with the colour blue prompted the company to present two manually wound and two self-winding models from the current collection with deep-blue galvanised dials in solid silver. 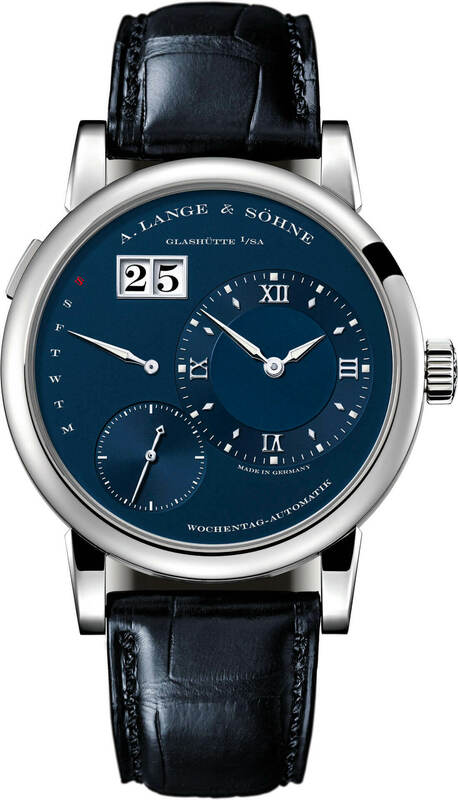 The Lange 1, Lange 1 Daymatic, Saxonia and Saxonia automatic feature polished hands and rhodiumed gold appliques, accentuating the contrast between the blue dials and white-gold cases. Hand-stitched dark-blue alligator leather straps and solid white-gold prong buckles round off the design. 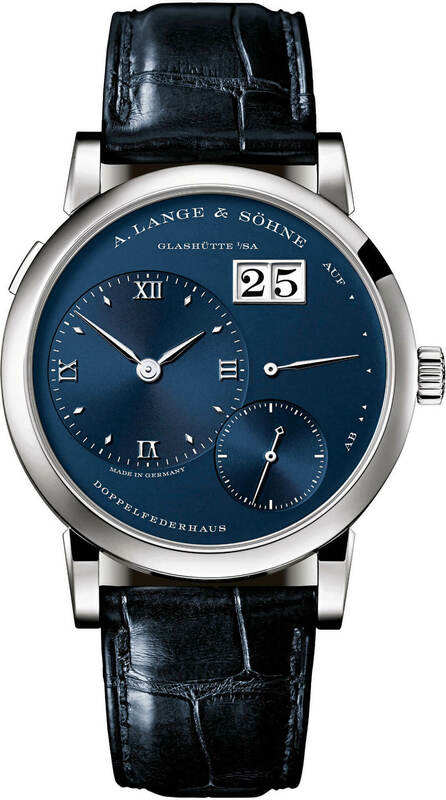 A. Lange & Söhne took inspiration from blue, as well as the artists and scientists who have been fascinated with the colour over the years. Leonardo da Vinci was one of these inspirations- he described the colour of the sky and its expanse as an amalgamation of light and darkness. The German painter Albrecht Dürer was another- the natural ultramarine extracted from lapis lazuli was so rare and precious that he likened it to pure gold. 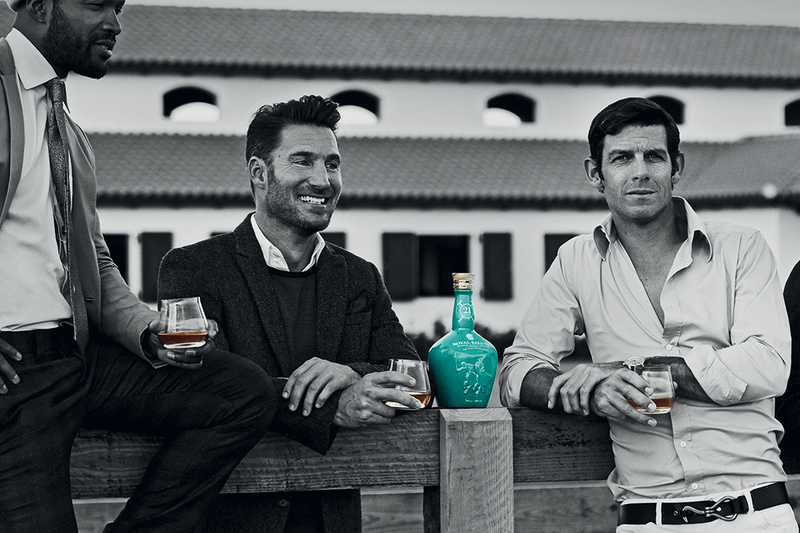 It was not until the early 18th century that it became possible to produce a synthetic pigment with a deep-blue hue which did not exist in nature. The discovery of Prussian blue triggered a revolution in the fine arts, without which Hokusai’s Thirty-Six Views of Mount Fuji, Picasso’s Blue Period and Van Gogh’s The Starry Night could not have been created. 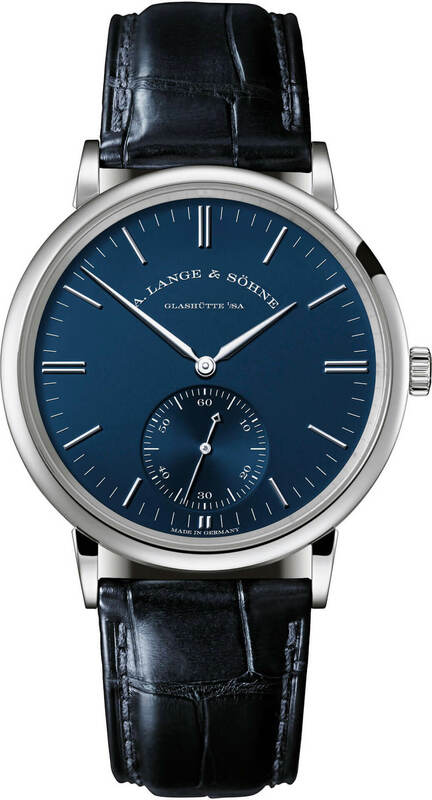 The four Blue Series models feature manufacturing hallmarks that showcase all Lange watches, from the artisanal finissage of all movement parts to the elaborate twofold assembly process.